Fossilwood by StonEdil / Touch is a realistic petrified wood / fossilized stone look. It brings unique beauty to any project. Even better, this elegant look comes with a great price point. 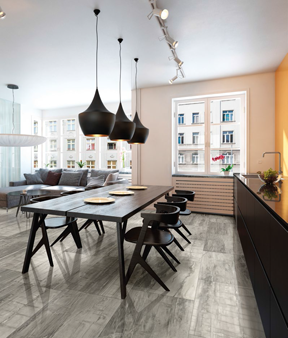 This glazed porcelain is made in Italy and ISC Surfaces stocks the colors and sizes listed in the naturale (unpolished) finish. Fossilwood is available from ISC Surfaces in Missouri, Kansas, and Central / Southern Illinois.